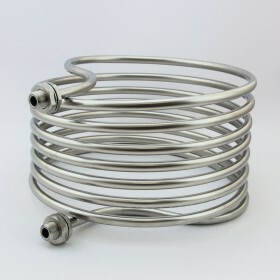 30cm HERMS coil with BSP fittings and integrated O-rings. Our stainless steel HERMS coils are ideal for use in any kettle: the only thing you will have to do is make two holes in the kettle with a 21mm hole punch. 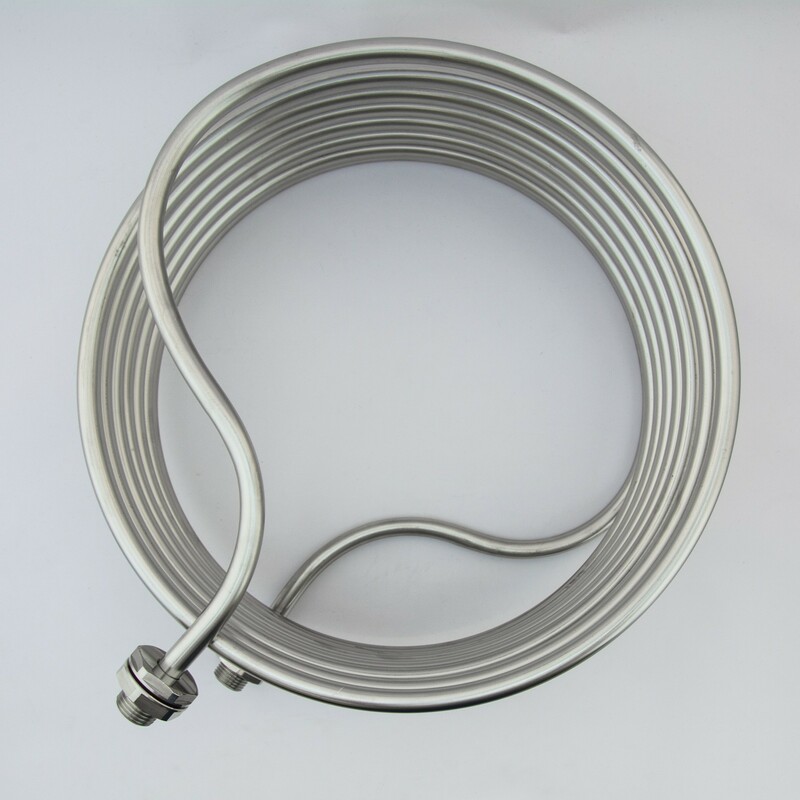 This coil is 7.5 meters long, because we calculated and tested that this is the ideal length. 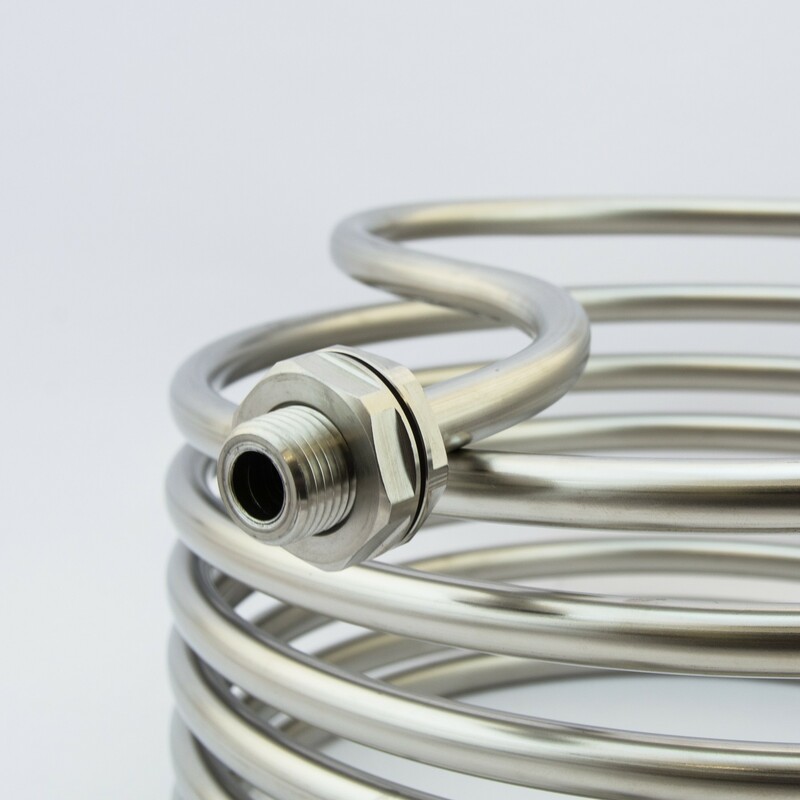 The HERMS coil comes with two 1/2" NPT stainless steel fittings with integrated O-ring groove. The fitting is easy to install: just put it through the hole and put a locknut on the outside. 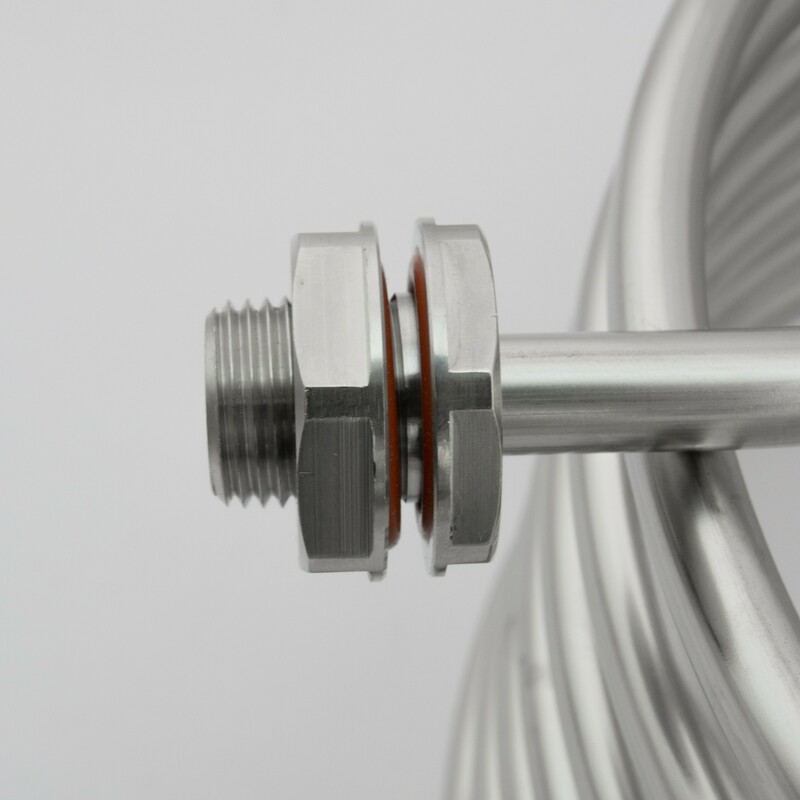 Once installed, the O-ring is completely hidden and protected by the stainless steel. The O-ring has 20% compression and 20% free goove volume, for a good seal and a long life span. The length of the thread is 3/4 inch, so after adding the locknut, you still have enough length for a ball valve or camlock fitting. The fittings are mounted onto the coil with a hydraulic press at the factory. This is watertight and very strong. 100% guaranteed: if the fitting leaks, you will get a 100% refund.